PhD studentships are available starting September 2018 in solid-state NMR and DNP-enhanced solid-state NMR studies of catalysts, nanoscale materials and pharmaceuticals. The maintenance allowance is at least £14,553 (tax free), and fees at the rate applicable to UK/European Union nationals are included. The Department of Physical and Theoretical Chemistry at Nottingham carries out world-class scientific research in a first-rate environment with excellent computational and experimental facilities. 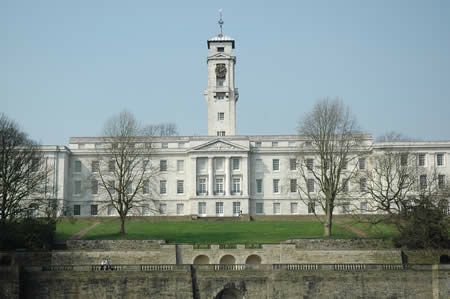 The University of Nottingham was recently ranked in the top 100 universities in the world and is regularly rated among the top 10 UK universities. The School of Chemistry has been recognized as one of the leading UK chemistry departments for many years.